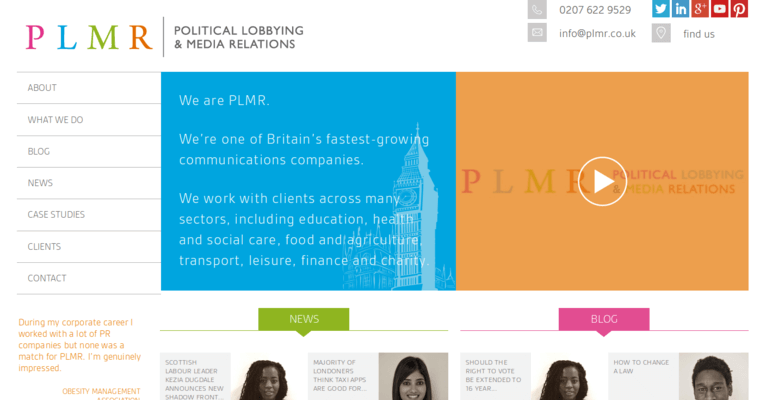 PLMR is one of Britain’s fastest-growing companies in the communications industry. Their clients come from many different sectors, including transport, leisure, food and agriculture, health and social care, energy, education, finance and charity. Public Relations management and services require strategic skill and meticulous implementation handled by experienced professionals. That's where the professionals at PLMR come in - to ensure that your company or organization receives the best possible PR service. 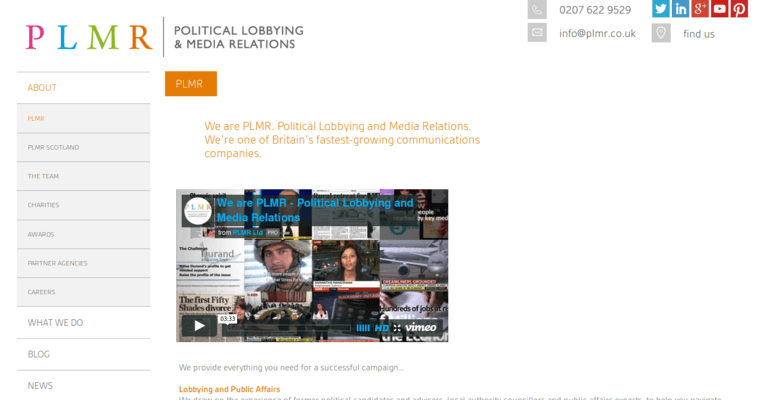 PLMR has a team of dedicated professionals who is well versed in all aspects of Public Relations. Their global reach offers them a great opportunity to develop customized account solutions to help their clients reach promote their business and reach their goals. 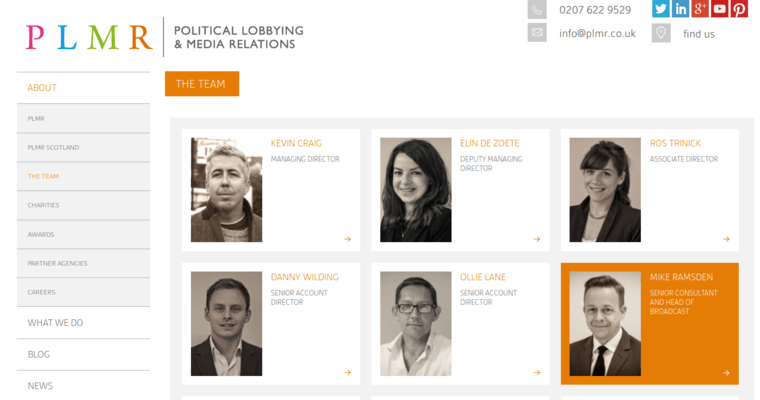 The team at PLMR helps clients evolve, promote and protect their companies and reputations. Grounded by their core values and strengthened by their independence, the team at PLMR helps their clients communicate and establish relationships with their customers.